EastCoast Guitars - The best beginners guitars we've tried - Andertons Music Co.
Are you on the hunt for a brilliant beginner guitar for yourself or a family member? Whatever style, from rock to pop, EastCoast has it covered! Free UK Delivery Available For All Models! Looking for a new, affordable guitar to get you rocking? Or maybe you're keeping an eye out for presents? What better way to set a budding musician off on their musical journey than with an EastCoast guitar! The Asian company specialises in starter guitars of all shapes and sizes. Loosely based off some of the guitar world's most iconic guitar designs, these stylish instruments truly carry the spirit of the guitars that they are inspired by. From timeless S-styles and T-types all the way up to modern metal guitars and semi-hollow models, Eastcoast has catered for just about every genre you can think of. These instruments are incredibly versatile and feature-packed, meaning you'd have a super-solid guitar that'll last several years before you'd even think about upgrading. EastCoast Guitars on Andertons T.V. 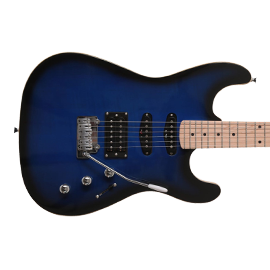 What Do We Think About EastCoast Guitars? EastCoast produce some of the best low-cost guitars we've ever come across, especially when compared to other instruments in the same price bracket. Built in an Eastern factory, these instruments are constructed using locally-sourced woods and high-quality electronics. This ensures excellent reliability and a great sound! If that doesn't sound like enough, our guitar techs have QC'd and even set each instrument up to play as good as they look, free of charge. This means that any EastCoast guitar bought from Andertons Music Co. will play beautifully out of the box! EastCoast Guitars QC process at Andertons Music Co.
"Having played a lot of budget instruments in recent months, I can confidently say that the EastCoast guitars are by far the best bang for buck I've tried. They all had a "low action" (which means the strings are easier to press down) which is perfect for beginners and means less finger pain and a lot more fun!" If you're fairly familiar with guitar shapes, you'll know exactly what instrument the GS100 is based off! Featuring a classic body design, the GS100 features a trio of single-coil pickups that can provide a diverse amount of tones. These pickups have a vibrant sound, making them perfect for playing crisp clean chords or searing leads. Also coming with a tremolo, this bridge lets you add dramatic vibrato to notes or chords. The GS100 is formed from a Poplar body, which not only makes the instrument comfortable and light, but it also delivers a balanced sound. 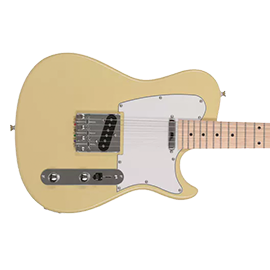 Paired with a bolt-on Maple neck, this type of construction gives notes a snappy and immediate bite, meaning that you'll be heard nice and clear if you're looking to play with a band. The neck is adorned with a Purpleheart fingerboard that feels smooth under the fingers, while the GS100's double-cutaway design allows you to reach all 22 frets. In case you're looking for a thicker sound, the GS100H guitar features a humbucker pickup in its bridge position. This type of pickup lends itself more to distorted tones, so if you prefer heavier genres, the GS100H will suit you better! EastCoast GS100H Demo on Andertons T.V. EastCoast GT100 Demo on Andertons T.V. The GS500 is the like the GS100H... but on steroids! 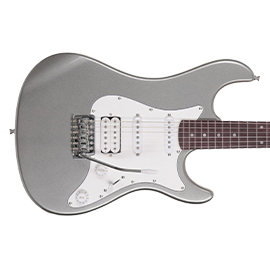 Giving you a super-strat vibe, the GS500 is a powerful-sounding guitar with its bridge humbucker and two single-coil pickups. This instrument is arguably the most versatile offering from EastCoast. From jazz to death metal, the GS500 can do it! EastCoast GS500 Demo on Andertons T.V. 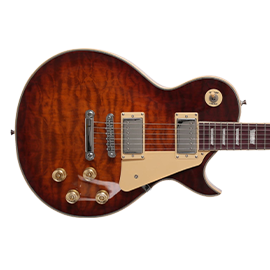 If you love Jimmy Page or Slash, one of the EastCoast GL Series models will suit you down to the ground! Based on the legendary LP design, these stylish singlecut guitars feature a dual dose of bold-sounding humbuckers. Delivering a bigger sound than single-coils, these pickups sound fantastic with overdrive or distortion, meaning that they're perfect rock workhorses! Available in three versions, the GL20 is the most inexpensive option. Formed from a Poplar body to keep the instrument light, the body is topped with a piece of Maple much like the guitar it is based off. This sweetens the treble frequencies slightly, to ensure that the instrument cuts through in a mix. With a bolt-on Maple neck, the GL20 has a bright character that gets the most out of its humbuckers. If you're after something with a bit more bling, the GL120 and GL130 models are definitely worth checking out too. Instead of Poplar, these guitars have an Okoume body, which is tonally similar to Mahogany. This brings these models closer to the staple LP design, offering a deeper and richer tone. That's not all though, as their Okoume necks are joined to their bodies with glue, which enhances sustain. If you're wondering what the difference is between the two, the GL120 features a stunning Flamed Maple top, whereas the GL130 has a Quilted Maple top. In terms of sound, this hardly makes a difference. It's just down to which one you prefer the look of! EastCoast GL20 Demo on Andertons T.V. AC/DC fans will love the GS10 models, as they certainly look quite familiar! 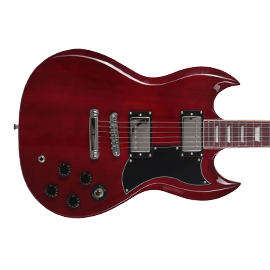 Taking on the vibe of one of Gibson's most famous guitar shapes, the GS10 adheres closely to the instrument it is based off. Sporting a pair of potent-sounding humbuckers, the GS10 is a dynamic guitar that excels through a distorted amplifier. The pickups can be easily controlled, with dedicated tone and volume knobs for each. A 3-way toggle switch also allows you to get the pure unbridled bark of the bridge humbucker, the creamy warmth of the neck pickup or the best of both worlds! Featuring a set-neck construction just like the GL120 and GL130 models, the deep cutaway on the GS10 allows you to easily reach even the 22nd fret. 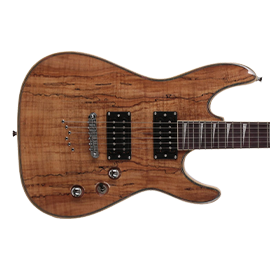 With a light Poplar body, the GS10 features an Okoume neck to add some tonal depth and sustain, much like Mahogany. The Purpleheart fingerboard feels lush under the fingers, offering smooth playability. EastCoast GS10 Demo on Andertons T.V. The most 'metal' guitar in the EastCoast range is the GV320! With a sleek and modern look, the GV320 is a true shred machine with its thin, smooth-feeling neck and high-output humbucker pickups. Formed from a solid Okoume body, the GV320 projects bold lows and a strong mid-range. With a carved top, this instrument has a comfortable and high-end feel, with an ergonomic cutaway near its bolt-on join that gives you great access to the higher frets. And on this guitar, there's 24 of them! Speaking of the neck, the GV320's is made from bright-sounding Maple, and is adorned with a slick Purpleheart fingerboard. The sharkfin-style inlays are a nice touch too! The tune-o-matic bridge runs the strings through the body, which increases sustain and resonance. EastCoast GV320 Demo on Andertons T.V. While the EastCoast lineup may mostly feature rock guitars, they also produce the GJ20, a classic semi-hollow that is perfect for jazz and blues! If you're unfamiliar with what a semi-hollow guitar is, it is basically a hybrid of an acoustic and an electric. Featuring the electronics you'd find on most electric guitars, these guitars have a hollowed out body that not only makes them light, but also gives them an airier and open sound. 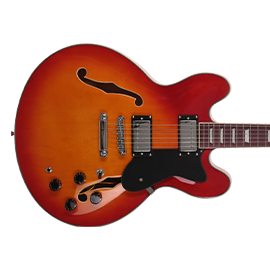 The GJ20 is much like a model from Gibson's ES series, as it features two thick-sounding humbuckers and a Maple body. These work very well together, with the humbuckers projecting a rounded low-end and the Maple dishing out a bright and lively top-end. The body is paired with a set Okoume neck, that introduces a warm mid-range and adds more sustain. EastCoast GJ20 Demo on Andertons T.V. You didn't think EastCoast would forget about bassists, did you? Of course not! 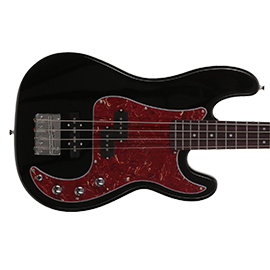 Their GP200 range keeps it simple, taking on the ageless design of the legendary P-bass. EastCoast GP200 Demo on Andertons T.V.